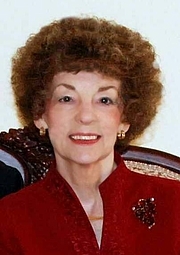 Christian fiction author Donna Fletcher Crow should not be combined with romance writer Donna Fletcher. They are two different people. Donna Fletcher Crow is a LibraryThing Author, an author who lists their personal library on LibraryThing. Donna Fletcher Crow's book An Unholy Communion was available from LibraryThing Early Reviewers. Donna Fletcher Crow's book A Darkly Hidden Truth was available from LibraryThing Early Reviewers. Donna Fletcher Crow's book A Very Private Grave was available from LibraryThing Early Reviewers. Donna Fletcher Crow is currently considered a "single author." If one or more works are by a distinct, homonymous authors, go ahead and split the author. Donna Fletcher Crow is composed of 3 names. You can examine and separate out names.